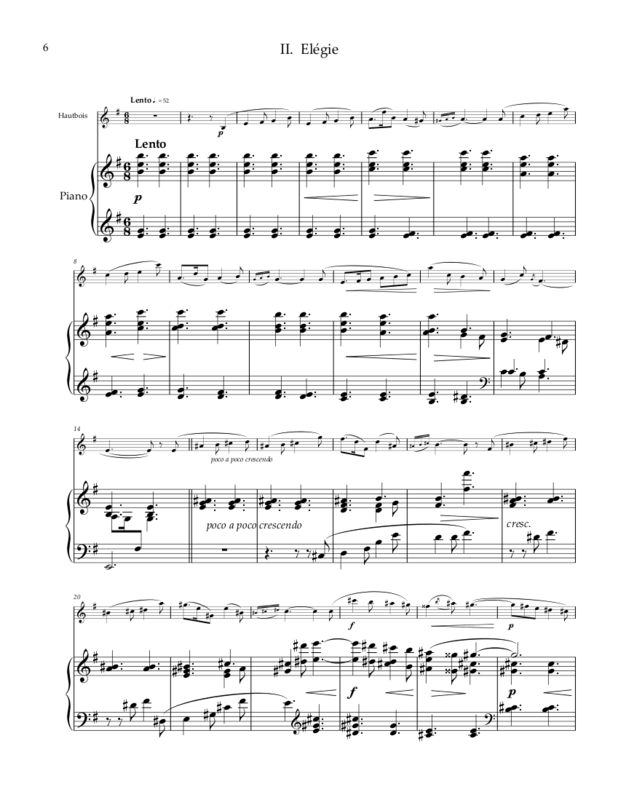 Trois pièces pour hautbois et piano (Three Pieces for Oboe and Piano). 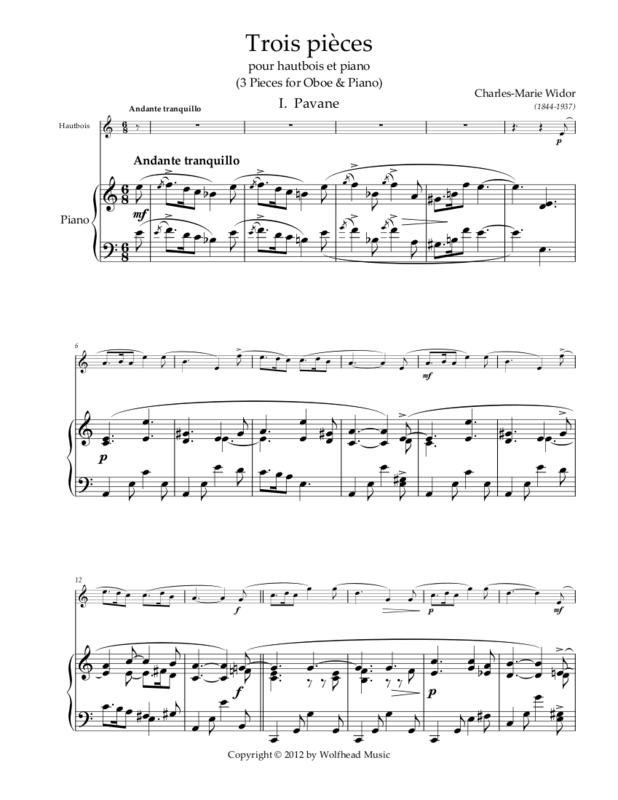 Three short but delightful and graceful works for oboe and piano. 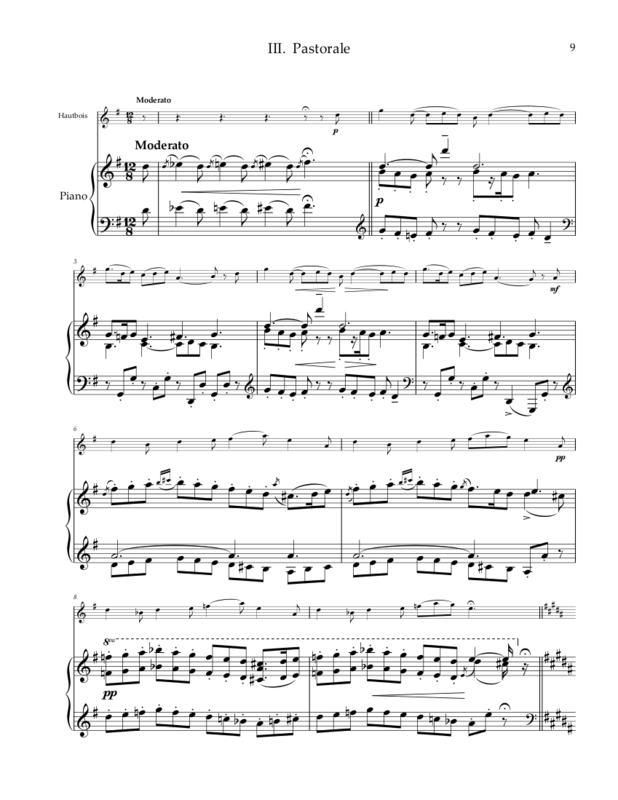 Composed in 1891. Performance Time: App. 11 min.